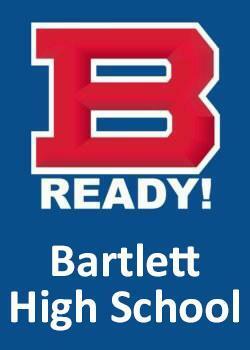 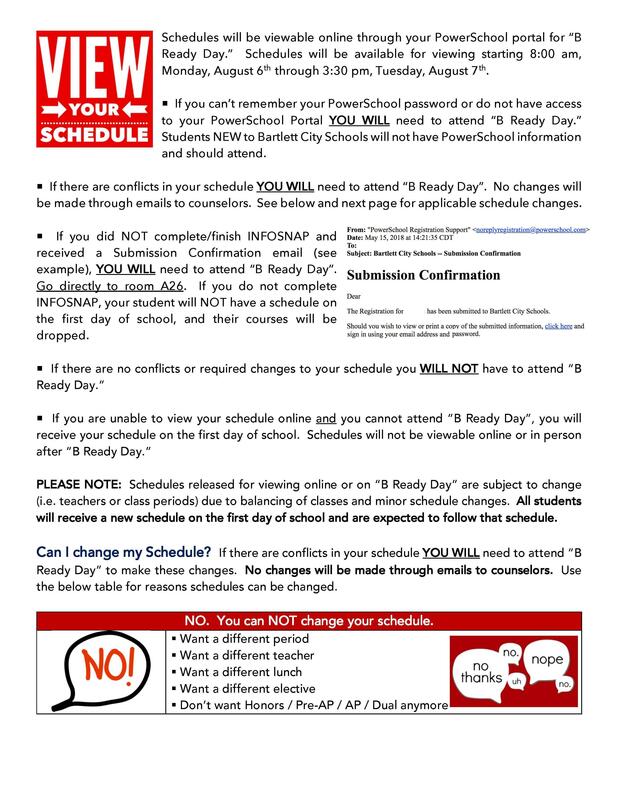 Click the link to read updated information regarding our B Ready Day at Bartlett High School. 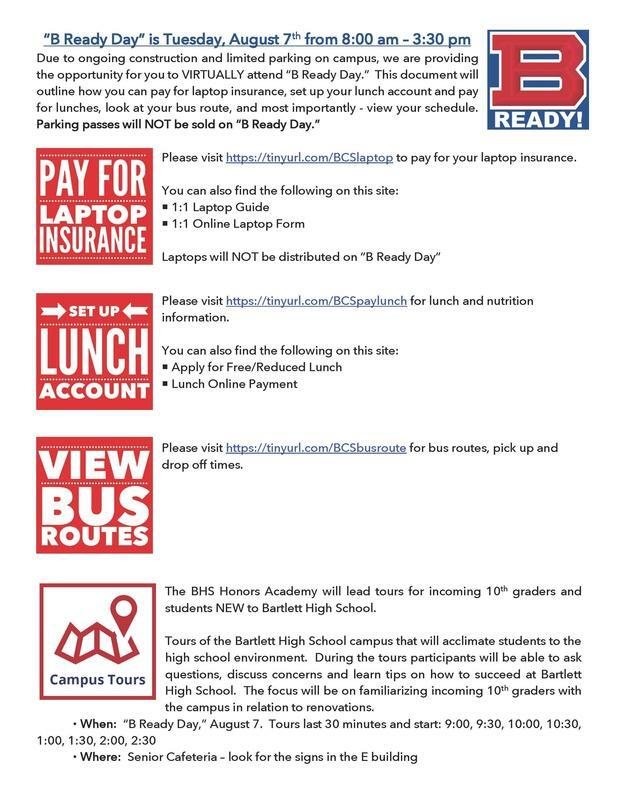 Due to ongoing construction and limited parking on the high school campus, Bartlett High School is providing the opportunity to virtually attend their B Ready Day. The below information will outline how you can pay for laptop insurance, set up your lunch account and pay for lunches, look at your bus route, and view your schedule. 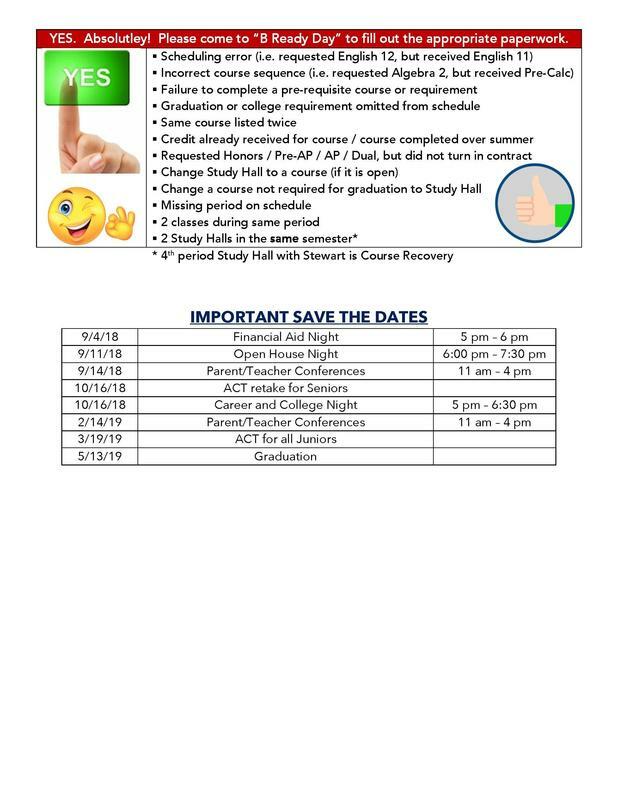 Parking passes will NOT be sold on B Ready Day. Click the link below for the full information or click the images to the right (three pages).